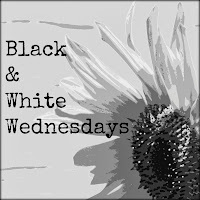 Please share your black and white photos with us here! What a lovely, lovely shot. Those petals just want to jump right out of the picture. You've got something fantastic going on with Mother Nature! Oh my goodness, that is beyond striking and breathtaking! That last line rings so true!!! Love the picture. Love the tones I see in this b/w. Beautiful photo, and that is a wonderful quote! Through your lens even wilting flowers are stunning. Such a gift. Well after seeing this photo perfectly processed, I almost didn't link up...but so it goes. I'm happy to be here! So beautiful, the image and the words.